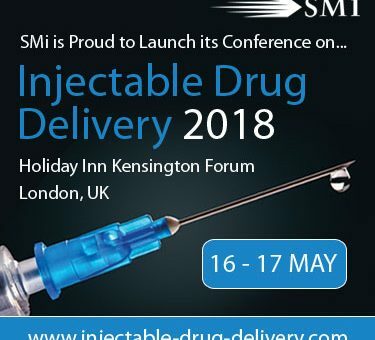 The Injectable Drug Delivery conference will be hosting 2 interactive half day pre-conference workshops on the 15th May, presented by Human Factors Centre and Cambridge Consultants. The Creating a Human Factors and Usability Engineering File workshop aims to equip delegates with the ability to make decisions on which filing route they should take when putting together a Usability Engineering File for a product. The training gives delegates an in-depth understanding of all the elements of the Usability Engineering File and Usability Engineering process in-line with the expectations from the FDA. This workshop is recommended for anyone involved with the research, design and development of a Medical Device or Combination Product. The workshop will cover all aspects of the file including Use Specifications, User Interface Evaluation Plans, Use Risk Analysis (Overview), User Interface Specifications, Formative Evaluations (Overview), Summative Evaluations (Overview) and HFE Summary Report. Wearable Injectors (or On-Body Injectors) are predicted to have a significant impact on the parenteral drug delivery landscape. To date, the case for these platforms has largely focused upon their ability to deal with viscosity and volume challenges associated with administration of biologics. This workshop will explore the current device landscape and evaluate its future potential to fulfil broader drug delivery demands. To gain actionable insights into why wearable injectors are a vital tool in the field of parenteral drug delivery devices. We will explore the wider potential of wearable injectors to meet clinical needs, including improvements to drug efficacy, safety and tolerability. Also discuss its impact on healthcare system needs, such as reducing overall cost of care.